When I bought Rosie’s Magic Horse for my niece I bout my nephew Goodnight, Gorrila. It’s not a book with a whole lot of words (the majority of them being “goodnight”) but the pictures tell an amusing story. In the story we follow a zookeeper as he shuts up the zoo for the night, saying goodnight to all the animals as he goes. But something is going on in the background, and when the zookeeper is at home in bed he discovers that all the animals have followed him home. The pictures are bright and I think very nicely painted. I especially like the expressions on the gorilla’s face. 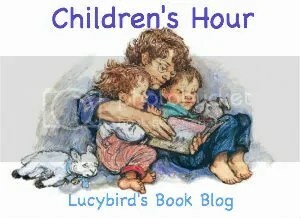 It’s a great book for encouraging talking because the children have to try to tell what is going on from the pictures.